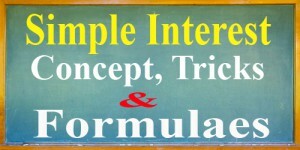 Simple Interest is a quick method of calculating the interest charge on a loan. 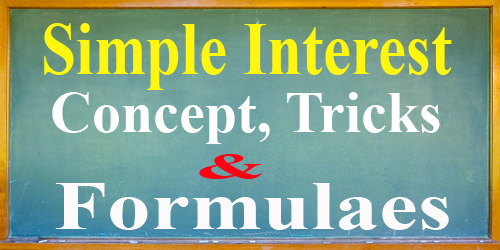 Simple interest is determined by multiplying the interest rate by the principal by the number of periods. ‘R’ is the percentage of the principal charged as interest each year. The rate is expressed as a decimal fraction, so percentages must be divided by 100. 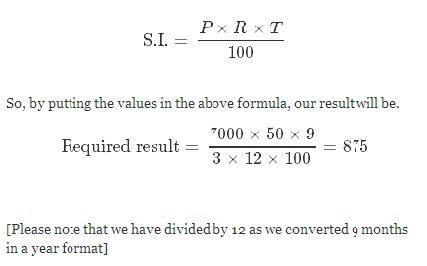 For example, if the rate is 15%, then use 15/100 or 0.15 in the formula. Problem 2: Sam invested a certain amount of money and got back an amount of $ 8400 in a bank. If the bank paid an interest of $ 700, find the amount Sam invested. Therefore, Sam invested $ 7700. Problem 3: Mr. Thomas invested an amount of Rs. 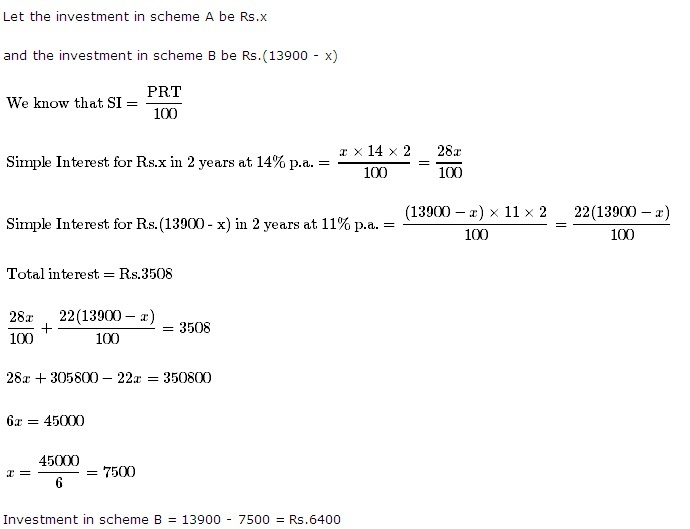 13,900 divided in two different schemes A and B at the simple interest rate of 14% p.a. and 11% p.a. respectively. If the total amount of simple interest earned in 2 years be Rs. 3508, what was the amount invested in Scheme B? 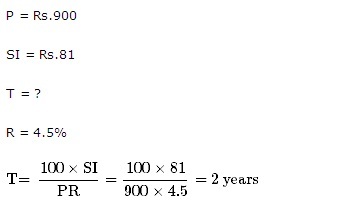 Problem 4: How much time will it take for an amount of Rs. 900 to yield Rs. 81 as interest at 4.5% per annum of simple interest? Problem 5: A sum of Rs. 14,000 amounts to Rs. 22,400 in 12 years at the rate of simple interest. What is the rate of interest? Therefore, the Interest Rate or Rate of Interest will be 5%.